Shape the cabbage leaves with a knife. Fill with the stuffing and roll tucking the sides in. Cover the colander of the pressure cooker with some of the boiled cabbage leaves. Arrange the rolls on top. Cook on high until the cooker whistles. Uncover the cooker and add the crushed garlic, the diluted pomegranate molasses, and the dry mint flakes. Boil for an additional 10 minutes on low heat. This is the recipe of my late mother-in-law, Anna. 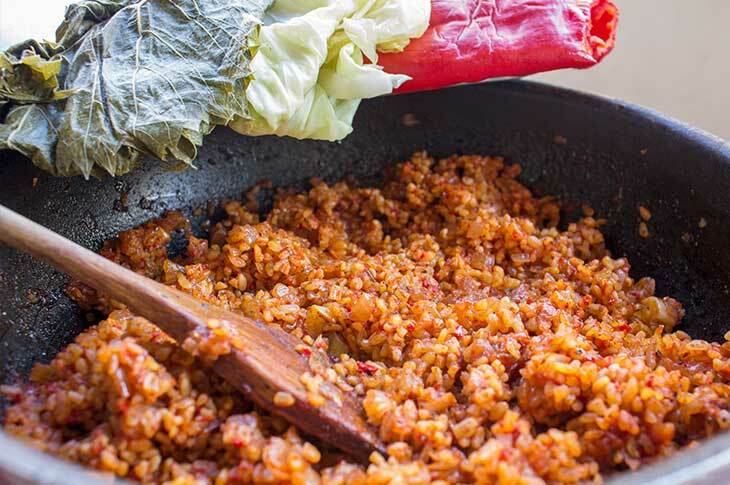 It's one of our favorite family dishes. 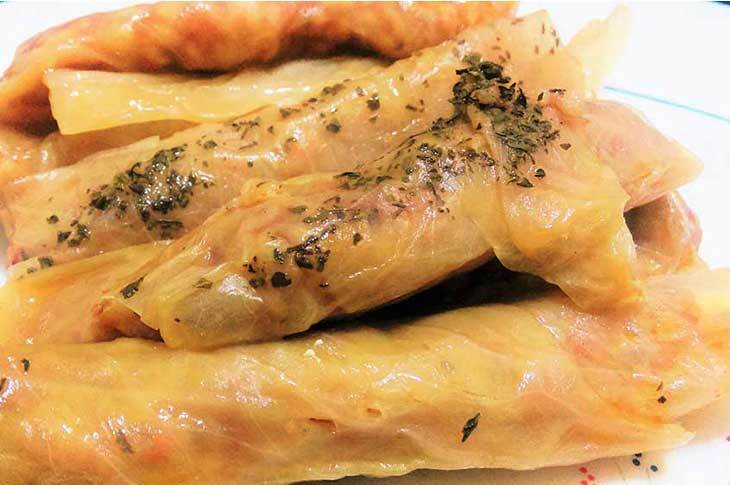 Enjoy cabbage sarma hot or cold with a bowl of fresh yogurt.